AUSTRALIAN Wool Innovation has confirmed it has scheduled an extraordinary general meeting on March 15 to consider resolutions based on key recommendations of the AWI review of performance and governance. Months of discussions and consultation have yet to finalise industry consensus on five recommendations that would change AWI’s board nomination committee structure, proxy declaration process, independent definition and institute a 10-year director term cap. However, a final position on outstanding issues is expected within the next two weeks. Wool industry bodies have been attempting since the 2018 AWI AGM last November to negotiate with the AWI leadership on which recommendations should be considered at an EGM. The nation’s peak wool grower body, WoolProducers Australia, is hoping it will, but has not been asked to, have input into the wording of the final resolutions to be put to AWI shareholders. Sheep Central has been told some industry representatives and AWI board members had hoped to negotiate the AWI board’s acceptance of most of the key recommendations into its charter without taking resolutions to an EGM, fearing the ramifications of not getting the necessary 75 percent voter approval. AWI chair Colette Garnsey was unavailable to answer questions this week, but an unidentified AWI spokesperson confirmed the March 15 EGM date to Sheep Central and said shareholders will have the opportunity to provide further input on the resolutions in person or by exercising their voting rights at the meeting. “The board of Australian Wool Innovation has begun proactively consulting with the wool industry on the resolutions affecting its constitution that will be put to AWI shareholders at an extraordinary general meeting scheduled for March 15, 2019,” the spokesperson said. “AWI has advised the Minister for Agriculture and Water Resources the Hon David Littleproud MP that the company would be seeking feedback on the resolutions through the representatives on its Industry Consultative Committee. The spokesperson said AWI’s unique democratic structure is the envy of other agribusiness groups. “The AWI board believes the recommendations go to the heart of that structure and the right of every AWI shareholder to have their say over the direction, funding and leadership of AWI. 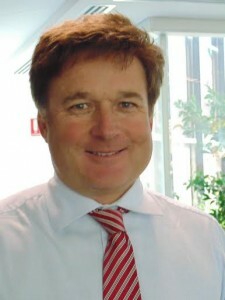 WoolProducers Australia president Ed Storey confirmed there had been talks with AWI at an ICC meeting last December. This has included meetings with AWI chair Colette Garnsey and AWI stakeholder engagement committee chairman Don Macdonald. “We want the intent of the recommendations implemented,” he said. “We want election processes improved, we want board and board nomination processes improved,” he said. “Some of the issues are yet to be finalised, but we have every expectation and every hope that AWI are genuine in their desire to implement the intent of the Ernst&Young recommendations. Mr Storey said there are “grey areas” in the case of all the recommendations and WoolProducers was attempting to achieve consensus and let AWI get on with working to support the industry. He said AWI has endorsed the review and were quoted as supporting it in a ministerial press release. AWI’s Constitution specifies that special meetings such as an EGM can be held with a notice period to shareholders of 90 days as per an annual general meeting, or according to “the Law” — the Corporations Act — which states that 21 days’ notice must be given for unlisted company meeting. AWI is believed to be basing its EGM organisation on a 21-day notice period. Mr Storey said if the AWI board goes to an EGM, as proposed, to seek a shareholder position on the key review recommendations, the resolutions could potentially be written to make it more difficult to get 75pc voter approval for constitutional change. “If the vote result is not 75pc, but is a significant number, of the order of over 50pc, a number of AWI directors have expressed a view to me that then leaves them in a difficult position. Australian Wool Growers Association director Charles Olsson said AWGA maintained that only the 10-year board term cap issue should go to a shareholder vote, although it could also under corporate law be seen as a board charter issue. Mr Olsson said AWGA and WoolProducers Australia were still negotiating with AWI to get agreement on the key recommendations rather than go to an EGM. He still believes consensus is possible on the recommendations. Sheep Central also understands there is some disagreement on whether to maintain the current requirement for each board candidate to get the signatures of 100 supporting shareholders, allow any shareholders to nominate another as suggested by the EY review, or adopt a Meat & Livestock Australia-type system where the number of candidates matches the vacant positions.